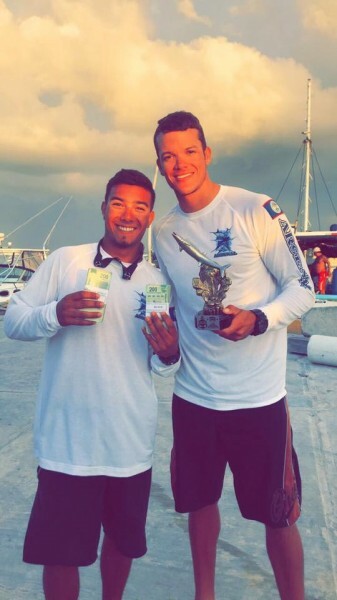 San Pedro’s Elito Arceo and Jody Leslie along with his father Martin Leslie took the third place prize at the Wahoo de Plata International Fishing Tournament competition this past weekend held in Mahahual, Quintana Roo, Mexico from Friday, December 1st to Sunday the 3rd. The islanders represented San Pedro in their “Arsenal” boat, competing against 24 other boats from various municipalities of Quintana Roo and Belize. “Wahoo de Plata” is a fishing competition that is held annually, where various teams compete in a three- day course, aiming to catch the heaviest Wahoo fish. This year, the first place went to the Mexican team “Aquas Far” who received $100,000 pesos, the second place went to Hillyboo Lara from Lucky Strike, Belize who received $60,000 pesos and the island team claimed the third place receiving $40,000 pesos. “I’m happy that at least we placed in the top and that our hard work paid off,” said Jody. This is not the first time the Leslie’s have participated in the “Wahoo de Plata” tournament, last year they claimed the first place! 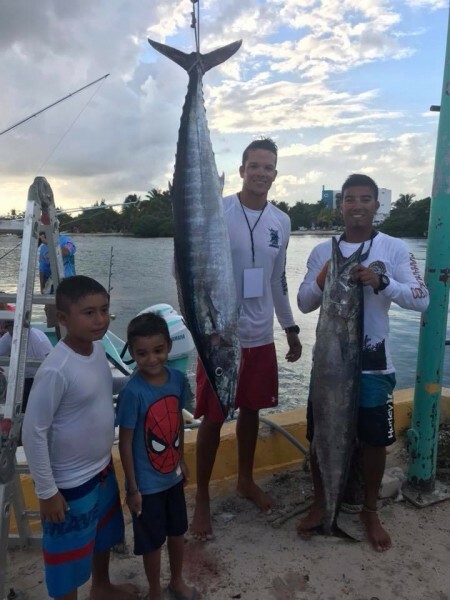 The next “Wahoo de Plata” Fishing tournament will be held in January 2018 at Captain Morgans in San Pedro Town.